Peak Surveying Services offers various services with relation to setting out. - Locations of boreholes and trail pits. - Building footprints for new build houses and extensions to existing dwellings. - Locations of services and utilities. Setting out the extent of the excavation for an underground basement of a new build house in Derbyshire. 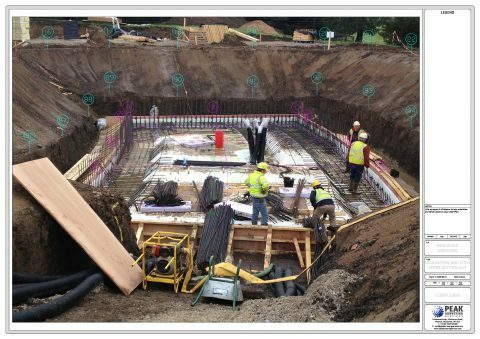 We also set out the positions of the re-bar steel work and the building footprint. 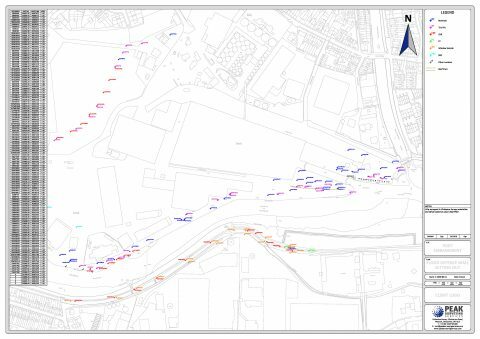 Setting out the proposed locations of various exploratory holes for a proposed redevelopment of a port. Once the holes had been drilled we then surveyed the hole locations to record their exact position and level.. 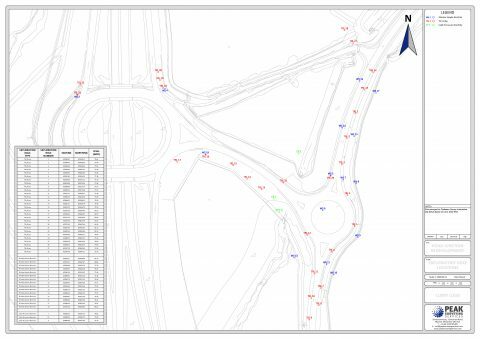 Setting out locations for exploratory holes for proposed industrial development to gain access from an existing roundabout adjacent to a major motorway.